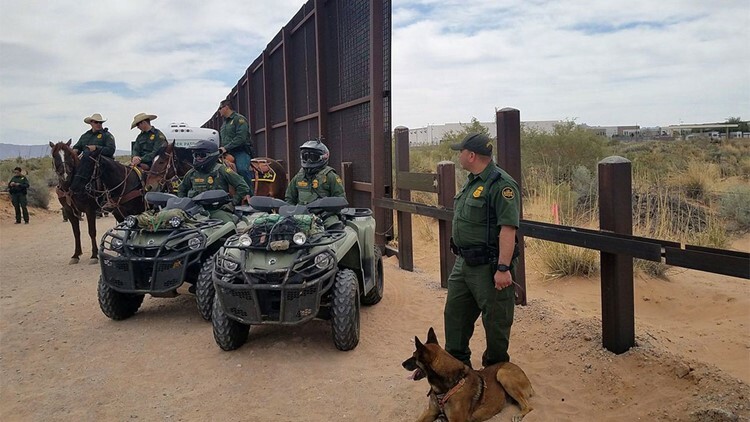 EL PASO, Texas — The press release went out Monday, the reporters showed up Tuesday morning, then the U.S. Border Patrol abruptly canceled its Election Day "crowd control exercise" without immediately stating a reason. Last week, Trump also said he ended the practice of "catch and release" for undocumented immigrants — although shelters in El Paso and the Rio Grande Valley said Friday they continued receiving newly-released immigrants. And he said the government plans to erect tent cities to hold undocumented immigrant adults and children. State Reps. Rafael Anchía, D-Dallas, and Mary Gonzalez, D-Clint, the chair and vice-chair of the Mexican American Legislative Caucus, condemned the timing of the exercise Monday and called on the Border Patrol to cancel it.